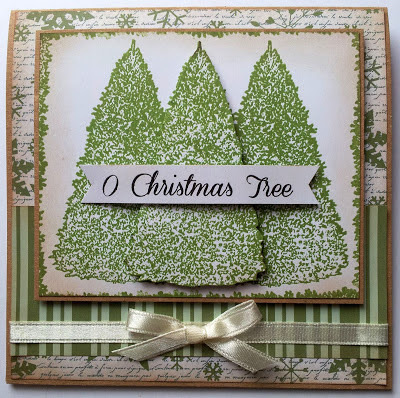 The papers are from the Christmas Essentials CD and i stamped the O Christmas Tree three times and decopaged the middle one to make it stand out. The sentiment also comes on the stamp set which is available for only £3. 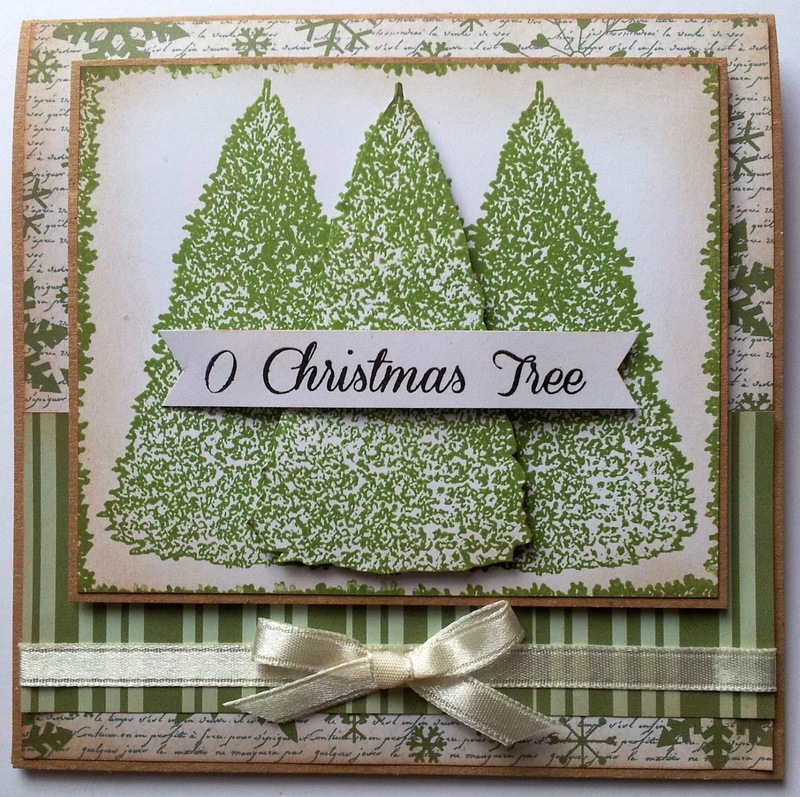 I used the edge of the tree stamp to do the edge. Beautiful Kitty thanks so much for this wonderful card. So pleased you love it . This is gorgeous! Lovely warm card.